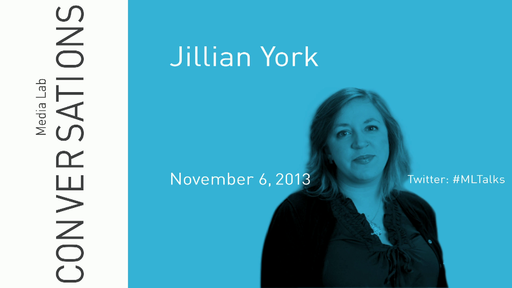 Jillian C. York is Director for International Freedom of Expression at the Electronic Frontier Foundation. Her work focuses on free expression, with an focus toward the Arab world, and as such she has written for a variety of publications, including Al Jazeera, The Atlantic, The Guardian, Foreign Policy, and CNN. Jillian contributed chapters to the volumes Beyond WikiLeaks: Implications for the Future of Communication, Journalism and Society (Palgrave Macmillan) and the upcoming State Power 2.0: Authoritarian Entrenchment and Political Engagement Worldwide (Ashgate Publishing; expected November 2013). She serves on the Board of Directors of Global Voices Online, and on the Advisory Boards of R-Shief, OnlineCensorship.org, Radio Free Asia’s Open Technology Fund and Internews’ Global Internet Policy Project.